It's a problem some of us have, let me explain. Have you ever been driving in a new city, and you have the whole route planned out thanks to "Map Quest", the sun is shining and the sailing is smooth. So far so good, the whole trip is going to plan ... that is until something very small sets you off course (most likely a map quest error!) and now your lost all the way on the other side of town! And rather than ask for directions (because after all you know what you're doing), you just drive around for hours lost and going in circles. Finally after hours of frustration, pounding on the wheel of the car, and cursing "Map Quest" in to the ground, you stop and ask for some directions. Turns out if you would have stopped and taken a left turn at the lights just up the road, it would have taken you just 6 mins to get where you needed to go. DAMN!! And you waisted all that time driving in circles by passing that left turn each time. I'm sure this sounds more than a little familiar to most people! That's because most of us have one hell of a time (mostly us guys) asking for a little help on the road to where ever it is we're heading. But, just like the story above, sometimes asking for help can get us where we need to go MUCH faster and with a lot less stress, head aches, and wasted time! This is no different when it comes to our workout program and fitness goals. How people at your local gym (you might be one of them) have been working out for years, day in and day out doing the same thing and seeing no change in their body? How many people do you see sweating their faces off on the treadmill, then the bike, then the elliptical machine for 2 hours and still look flabby and have little to no muscle tone? Or, how many gym goers do you witness hitting the weights and injuring themselves with terrible form? The saddest thing is, all of these issues could be solved or prevented by just asking for a little help! Asking for a little help would save valuable time and money for anyone who's having issues like the ones mentioned above. All the money spent on pain killers due to improper form, supplements to help lose fat or bulk up, or paying expensive gym memberships month in and month out for years could all be avoided by asking for some help! But who?? Who are you going to ask? Who are you going to call ... NO no Ghostbusters! 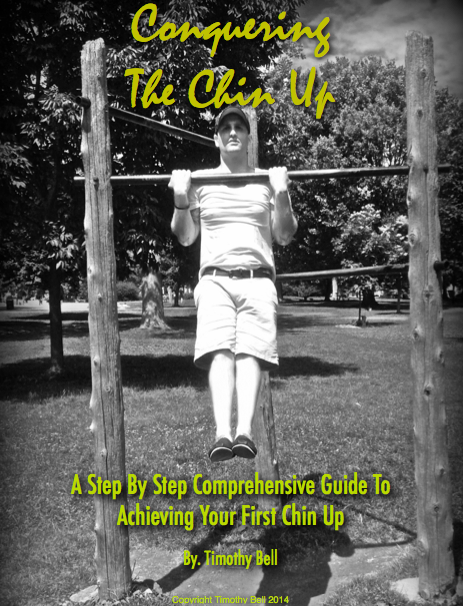 You need to ask for help from an educated fitness professional, a certified and reputable personal trainer. Yes, I realize that getting a trainer does have a price tag attached. However, it's an investment into your health and wellness. Any good personal trainer will be able to teach you how to stay healthy and fit for the rest of your life. They'll be able to teach you how to get an amazing workout with little to no equipment, and how to consistently push your fitness levels for the rest of your life. Also, a trainer will immediately put you on the right track to fitness success by creating a program custom designed to meet your needs and goals. That means no more months of seeing no results, it's all steady results from here on out! You always have the option of working one on one with most trainers if you need the motivation or are looking for a workout partner. I would highly suggest this option firs and foremost, nothing beats one on one attention from a professional. But if it's just out of your price range, or you already have a solid fitness base/back ground, then why not have a trainer create a program for you to do on your own? This would allow you the benefits of the trainers expert knowledge and your program would constantly progress! You'll have to be very self motivated and on top of your game, but it's a close second to actually working with a great trainer! So stop driving in circles! Get a great highly qualified trainer who has a past of successful/happy clients and get training. Or get a program from them and work towards your goals with some guidance. 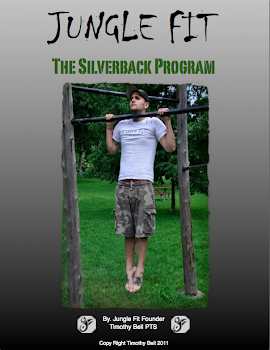 Heck, a lot of trainers offer custom designed programs and online personal training. 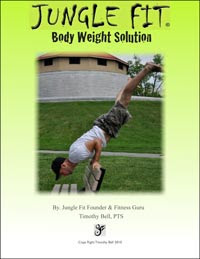 You can even work with me (Timothy Bell) through www.Jungle-Fit.com and sign up for online personal training. I'll assess your fitness level, health history, fitness goals, and access to equipment to accurately create you a one of a kind fitness program! You'll have unlimited contact with me, as well as weekly updates and feedback on your progress. It's the next best thing to actually training here with me! 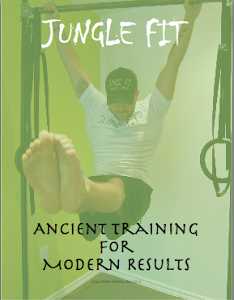 For more info head to www.Jungle-Fit.com. New Diet Taps into Innovative Concept to Help Dieters Get Rid Of 23 Pounds in Just 21 Days!